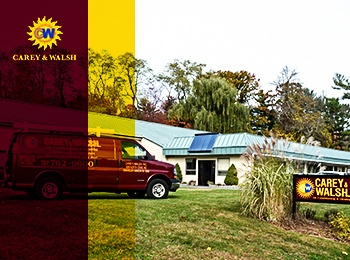 Carey & Walsh, Inc.is a full-service heating and cooling contractor based in Briarcliff Manor, NY. We have been serving residential and commercial owners in Westchester, Rockland, Putnamand other nearby areas in New York since 1949. We’re proud of our decades of expertise in the HVAC industry which help us continuously meet the expectations of our customers. When experiencing HVAC issues that are beyond your knowledge, the best action is to seek help from professionals. Whether it’s a simple installation or complex repair, our technicians guarantee quality results. As a trusted heating and cooling company in Westchester, NY and surrounding areas, Carey & Walsh, Inc. sets a high level of standards for our products and services.By working with us, you will get the best HVAC experience that you deserve. No Extra/Hidden Charges – Upfront Pricing Guaranteed! At Carey & Walsh, Inc., we treat your place just like our own. We work to create a place that offers not just comfort but also peace of mind. We value your investment and time as much as we value ours. Our goal is to provide excellent heating and cooling in Westchester, NY and nearby areaswithout compromising your budget, safety and time. Contact us at 914-762-9600 to learn more about us and our products and services.